Cante profesionale per vegla pune. Kjo cante ne fakt perbehet nda dy canta ne nje, apo nga dy pjese te ndryshme, njera mund te perdoret per bartjen e dokumenteve te ndryshme, letrave te punes etj. Ndersa canta e dyte apo pjesa tjeter perbehet nga 20 xhepa per vegla te ndryshme te punes. 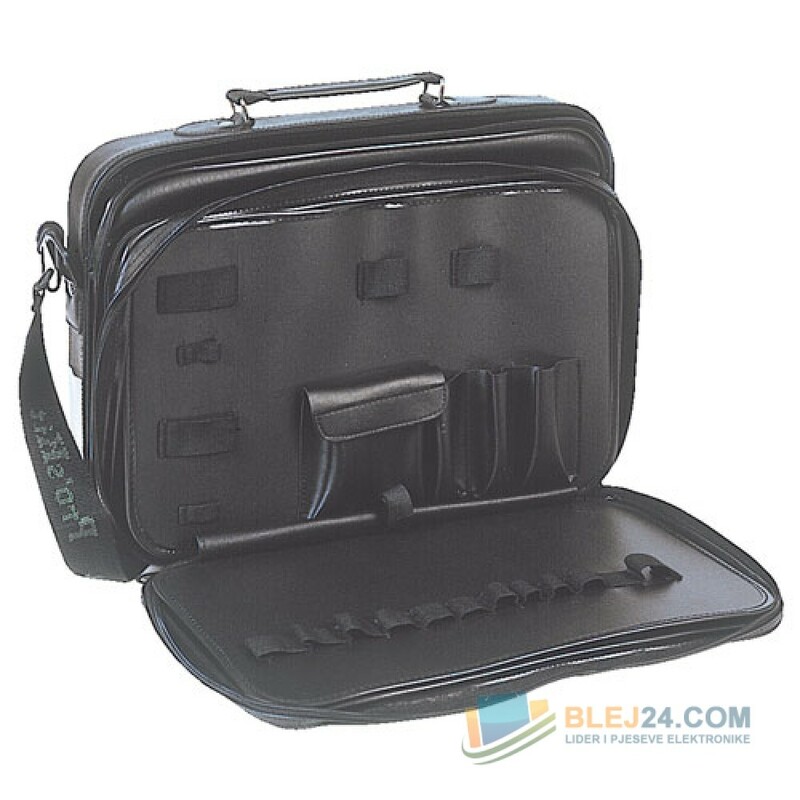 •Can be used as two separate bags or zipped together as one large tool case •The first case has two large pouches perfect for storing documents, paperwork, or larger items. The second bag contains 20 pockets for tools. This sturdy and lightweight case measures approximately 16" (W) x 12" (H) x 21/2" (D).